So begins a new article by Bill Meehan and Kim Jonker that the Bridgespan Group has published at its website. The article, titled “Most Nonprofits Aren’t Ready for the Coming Impact Era,” draws on findings from the Stanford Survey of Leadership and Management in the Nonprofit Sector to show that most organizations in the sector are falling short of their potential. 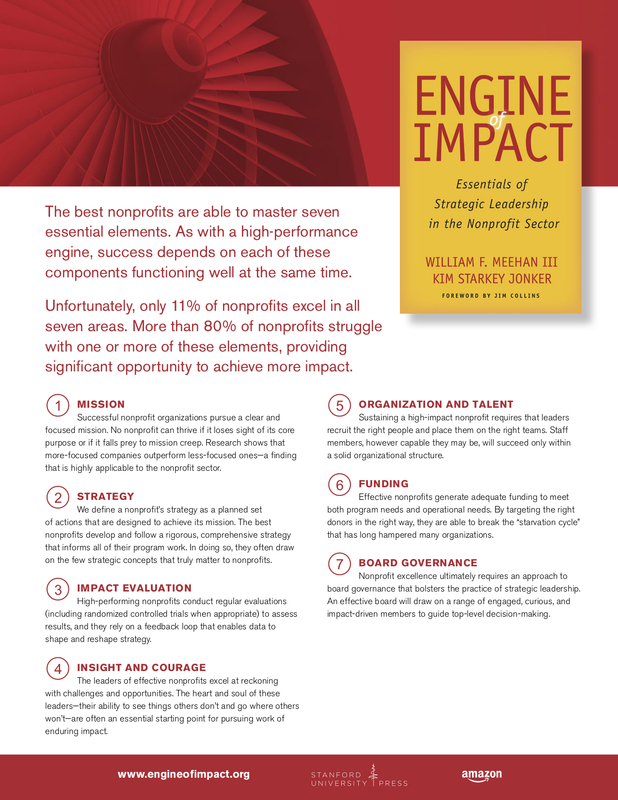 To ensure that the current era will indeed be “the best of times” for nonprofits, these organizations must improve their performance in areas that range from board governance to strategy. Meehan and Jonker follow their note of warning with a note of optimism: “by working intentionally and proactively to master the essentials of strategic leadership, organizations can seize the tremendous opportunity presented by the Impact Era,” they write. The article is available (in both web and PDF formats) here.